The British tenor Christopher Lemmings studied at the Guildhall School of Music and Drama before commencing a career which has seen him singing operatic and concert repertoire spanning five centuries, nine languages, countless styles and more than fifty individual roles. Engagements at the Royal Opera House, Covent Garden include Stingo in Nicholas Maw’s SOPHIE’S CHOICE conducted by Sir Simon Rattle, Caliban THE TEMPEST (also for BBC television and L’Opéra National du Rhin) and Scaramuccio ARIADNE AUF NAXOS. Other recent roles include Tito LA CLEMENZA DI TITO and Belmonte DIE ENTFÜHRUNG AUF DEM SERAIL and Lechmere OWEN WINGRAVE for the Glyndebourne Tour, Il Maestro di Ballo MANON LESCAUT, and Bartholomew in Sir Harrison Birtwistle’s THE LAST SUPPER for the Glyndebourne Festival, Don Ottavio DON GIOVANNI for Oper Koeln and Verona Opera, Il Podestà LA FINTA GIARDINIERA for the Buxton Festival, Albert ALBERT HERRING for English Touring Opera, L’Abate di Chazeuil ADRIANA LECOUVREUR and Ferrando COSÌ FAN TUTTE for Holland Park Opera, Bob Boles PETER GRIMES, Der Bucklige DIE FRAU OHNE SCHATTEN and Spoletta TOSCA for Vlaamse Opera and The Schoolmaster CUNNING LITTLE VIXEN for Bergen National Opera. 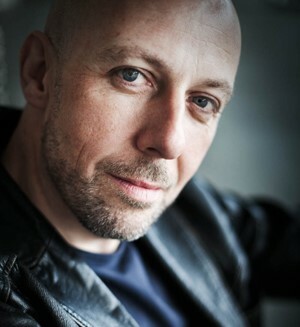 With a strong reputation for his work in Twentieth and Twenty-first Century Music, Christopher has collaborated with composers such as Sir Harrison Birtwistle, Thomas Adès, Oliver Knussen and Nicholas Maw. Roles include Clarence/Tyrell in Robert Carsen’s production of Giorgio Batistelli’s RICHARD III for L’Opéra National du Rhin and Grand Theatre de Genève, Jack O’Brien in Graham Vick’s production of AUFSTIEG UND FALL DER STADT MAHAGONNY for Teatro dell’Opera di Roma, Claude/Robinson in Philippe Fenelon’s JJR–Citoyen de Geneve for Grand Theatre de Genève, Edmund in Toshio Hosokawa’s KING LEAR at the ROH Linbury Theatre, Beauty in Gerald Barry’s TRIUMPH OF BEAUTY AND DECEIT with BCMG conducted by Thomas Ades at the Almeida Theatre London and in Berlin, Paris and Carnegie Hall New York, Sid Thatcher in Paul Frehner’s SIRIUS ON EARTH, also with Almeida, Neoptolemus in Edward Rushton’s BIRDS, BARKS, BONES at the ROH Linbury Theatre, Molqi THE DEATH OF KLINGHOFFER at the Finnish National Opera, Perelà in Pascal Dusapin’s PERELÀ, L’UOMO DI FUMO for Opera Bastille and Opéra National de Montpellier, Sellem THE RAKE’S PROGRESS for Angers-Nantes Opéra and Knussen’s WHERE THE WILD THINGS ARE/HIGGLETY PIGGLETY POP! with the Aldeburgh Festival and with the Los Angeles Philharmonic under Gustavo Dudamel. With the Bochum Ruhrtriennale he sang Die Zweiter Junge Offizier in Zimmermann’s DIE SOLDATEN in Bochum and in New York’s Lincoln Center Festival, With Music Theatre Wales he created the role of Robin Fingest in Michael Berkeley and Ian McEwan’s opera FOR YOU, and sang Dov in Sir Michael Tippett’s KNOT GARDEN in a joint production with the Royal Opera House to mark the centenary of the composer’s birth. In 2011 he created the role of The Prince in Luke Bedford’s new opera SEVEN ANGELS with BCMG and The Opera Group. Opera in concert includes Gerald Barry’s TRIUMPH OF BEAUTY AND DECEIT with the Los Angeles Philharmonic, Radio France, and Carnegie Hall, NYC; Hotel Porter DEATH IN VENICE, Lechmere OWEN WINGRAVE and Molqi THE DEATH OF KLINGHOFFER at the Concertgebouw Amsterdam under Edo de Waart; Itulbo IL PIRATA and L’Abate/Un Incredibile ANDREA CHÉNIER for Chelsea Opera Group at the Queen Elizabeth Hall, London. Other concert appearances: Finzi’s Intimations of Immortality Royal Liverpool Philharmonic; Stravinsky’s Pulcinella with the Northern Sinfonia; Rossini’s Stabat Mater RTE Concert Orchestra, Dublin; Haydn’s Stabat Mater Norwegian Radio Symphony Orchestra, Messiah with the English Chamber Orchestra, War Requiem with Konzertchor Darmstadt, Janacek’s Glagolitic Mass at the Brighton Festival and Orff’s Carmina Burana at Royal Festival Hall. Recent engagements include Mouse/Dormouse in Unsuk Chin’s ALICE IN WONDERLAND directed by Netia Jones with the Los Angeles Philharmonic under Susanna Mälkki, Goro MADAMA BUTTERFLY with Bergen National Opera and Mr Upfold ALBERT HERRING for the 2016 Maggio Musicale Fiorentino. Future roles include Prince and Marquis LULU at the Teatro dell’Opera di Roma in 2017. Mr. Lemmings is featured on the following commercial recordings: Ned Rorem’s Auden Songs with Chamber Domaine for Sanctuary Classics, Nino Rota’s The Sacred Heart for Zitto and Michael Berkeley and Ian McEwan’s opera FOR YOU on Signum Classics.